and consistently striving for excellence in all he does, Bishop Kelvin C. Brooks is a notable Christian leader for our time. After being reared in both the Baptist and AME Churches, Bishop Brooks was baptized in the Baptist church at the age of seventeen. That same year he responded to the call of ministry on his life and preached his first sermon at Aenon Baptist Church of Vauxhall, New Jersey. 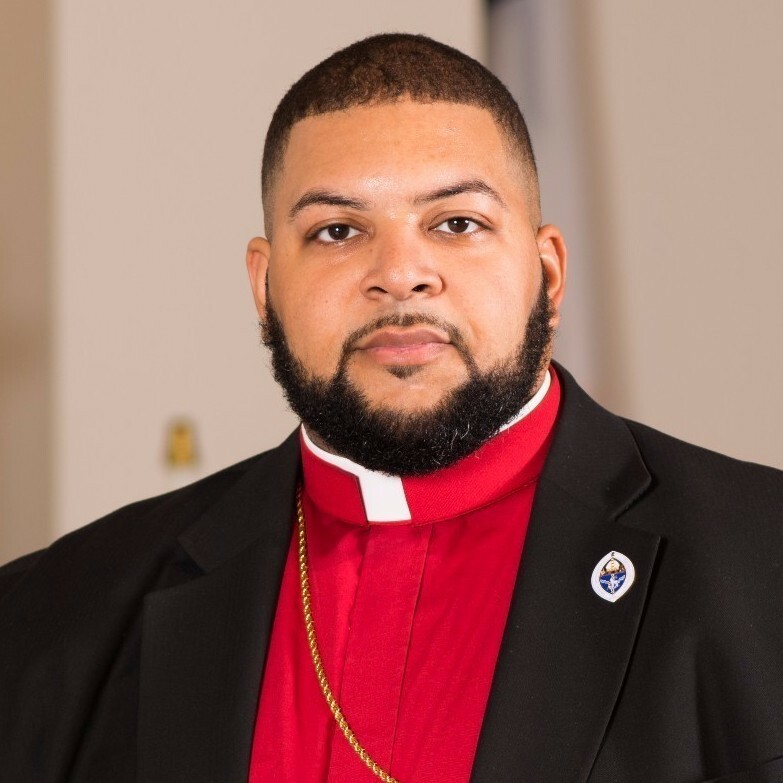 After a few years of preaching, he formally began operating in ministry and leadership in Shekinah Glory Christian Church of Newark, New Jersey under the covering and direction of Bishop Loretta Smith-Johnson; where he was ordained a presbyter in 2006 and served for over seven years. While in Shekinah, Bishop Brooks became involved in Covenant Ecumenical Fellowship and Cathedral Assemblies (CEFCA), where Bishop Smith-Johnson serves as the Second Assistant Presiding Prelate, and Bishop Donald Hilliard, II is the Founder and Presiding Prelate Emeritus. In 2008 he was appointed to be CEFCA’s First Adjutant General, and was consecrated to the prelature as an Overseer in 2009, serving as the youngest prelate of the fellowship. Over the years, Bishop Brooks has distinguished himself among the senior leaders of the church as a trusted source for ecclesiastical reference, and as a committed servant, prone to reverent worship. In January of 2009, Bishop Brooks began Order In The Kingdom Ministries, to provide consultation, training, and resources for ecclesiastical leadership and adjutants. His senior pastorate began in 2012, when he and his wife began developing Kingdom Life Cathedral, a church-plant, in his hometown of Scotch Plains, New Jersey. Currently holding weekly Sunday Worship services and other activities, Kingdom Life Cathedral is a growing congregation within the community. In 2014 his ministry took on a new level of impact when a small group of clergy leaders who sit under his covering came together to form a communion with him as their leader. Consequently, Bishop Brooks was consecrated to the Episcopacy on August 1, 2015 and serves as the founder and Presiding Bishop of The Anglican Churches of Pentecost, a reformed Anglican, convergence communion of clergy, churches and ministries, where he provides spiritual covering, covenant and connection for those within the communion. An author, Bishop Brooks published his first of twelve books he feels mandated to write in October of 2010, entitled “Munchausen By Pastor: Redefining Spiritual Paternity.” Since then he has followed up with a pocket guide on ecclesiastical vestments entitled “Clothed in Humility,” and he is actively writing several other titles for future release. His various ministry ideals and initiatives are fueled by his personal ministry charge, “To affect a relevant change to the body of Christ.” With a heart for social justice and a drive for social engagement, Bishop Brooks continually seeks other ways he can serve the community, to include; serving as a Police Department Chaplain for the City of Plainfield, NJ, membership in the non-profit organization Social Justice Matters and being a member of the Scotch Plains-Fanwood Ministerium where clergy, community leaders, and local officials meet regularly to work together in communication and support, to best serve the communities of Scotch Plains and Fanwood. As of September 2016, Bishop Brooks began his two-year term as the President of the Scotch Plains-Fanwood Ministerium. Bishop Brooks works full-time in Public Safety as a Public Safety Telecommunicator and an Auxiliary/Special Police Lieutenant. He is currently completing his second Masters degree, a Master of Science in Criminal Justice, with plans to attend law school thereafter. Above all, he is most blessed by the love, life, and ministry he shares with his wife, Lady Shonda-Reneé Brooks and their three children; Aislinn Victoria-Jon'Nae, Justus Wesley-Alexander, and Chloe Naomi-Grace. The Most Reverend Kelvin C. Brooks, M.A.